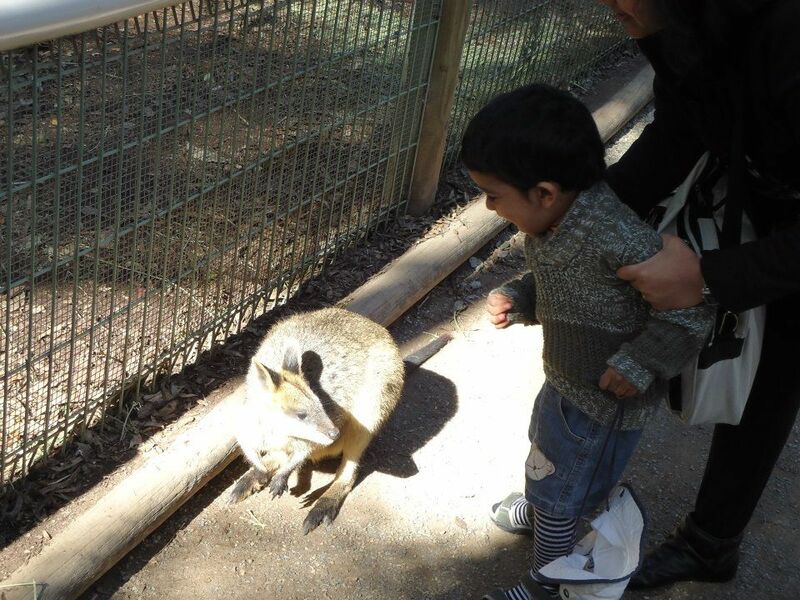 Look at the delight here as my darling nephew Vihaan is totally captivated on seeing a wallaby. He is reaching out and wants to hold the wallaby. By the way, I didn't even know what a wallaby is till I saw this picture and googled it to know more. Well, you can find Wallabies across many parts of Australia. Known as marsupials, wallabies look like small kangaroos. They have small front legs, strong back legs, long feet and they can hop on their back legs. They turn active during the night and rest during the day. When they move, it looks like they are bouncing. Sounds like fun, isn't it? I just love this snap as I could sense Vihaan's excitement and curiosity even as my cautious sister is trying to not let him go too close. So, I wanted to share it with you. wallaby?! learnt something new, never heard before. very cute of your nephew to reach out to the unique animal. very bold he is.